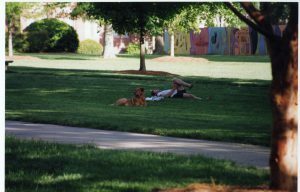 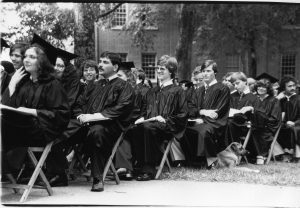 We are definitely in the “dog days of summer” right now, so I thought it might be fun to take a look back at some “dog days” on Davidson’s campus. 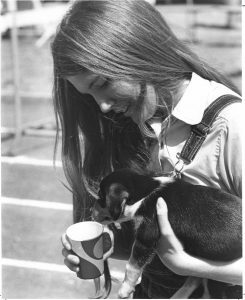 Staff members, professors, and students have all enjoyed having dog pals on campus! 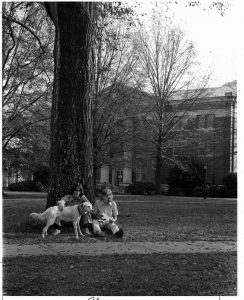 Two students in front of Chambers pet a white dog. 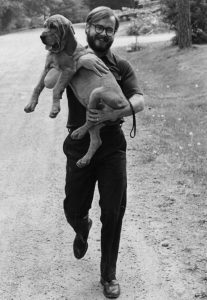 Prof. Gordon Michalson with his dog in 1977. 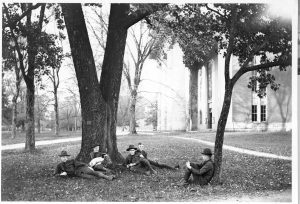 ROTC cadets on the lawn of Old Chambers with a dog. 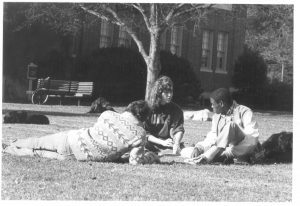 Three students in 1984 study with dog pals. 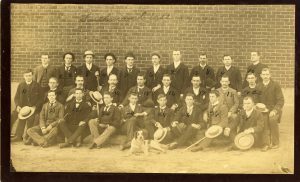 19th century students, class of 1890, pose with their dog. 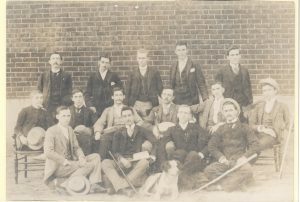 John Syme lounges with Oscar.